Two years ago, I was disappointed in the big books that publishers hyped and those listed on various Best Books lists by non-blogger media sources. Track my best and worst recommendation sources. Enable me to monitor my reading stats in real time…because it automatically compiles my stats throughout the year. Since I started using the Rock Your Reading Tracking Spreadsheet, my reading quality has improved 42%! That blows past my goal of liking over 50% of the books I attempt (so far this year, I’ve liked 61% of the books I’ve attempted). 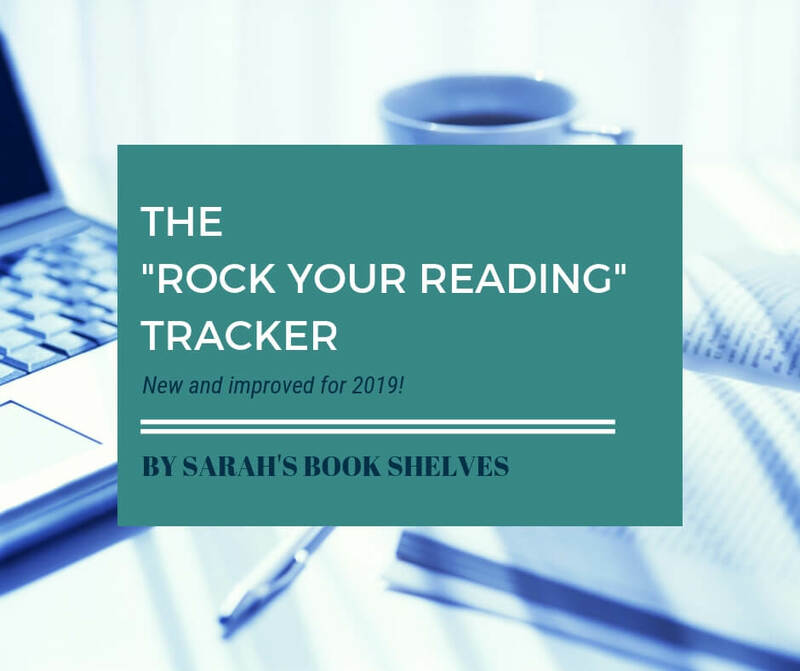 The Rock Your Reading Tracking Spreadsheet is ideal for book bloggers and bookworms that read a high volume of books each year. Track key elements bookworms like to keep tabs on (your reading goals, books and pages read, ratings, genre, format, diversity, etc). They’re built right into the spreadsheet…with Summary Charts that automatically populate as you enter the books you’ve read! Easily find your Best (Go-To) and Worst (No-Go) Book Recommendation Sources and publishers..and use them to pick better books throughout the year. Keep your To Be Read (TBR) list and reading tracker in one place. Track the recommendation sources for books you do not finish (DNF’s)…because knowing who gives you bad recommendations is just as important as knowing who gives you great ones! Customize the spreadsheet for your needs. Delete items you don’t care about tracking. Add columns for anything you’d like to track that I haven’t included. Email me if you’d like me to customize dropdown menus, summary charts, etc for your specific needs. And, possibly the best part…no more tallying up your numbers and manually creating Excel pie charts at the end of the year! It’s all done for you on the Summary Charts tab! Tracks additional items: re-reads, series, reading challenges, POV (point of view), new-to-you authors, audiobook narrator, and audiobook hours listened. Early Birds – Get last year’s price ($11.99) by purchasing the new tracker in the next 2 weeks (by Noon EST on Wednesday, November 28)! 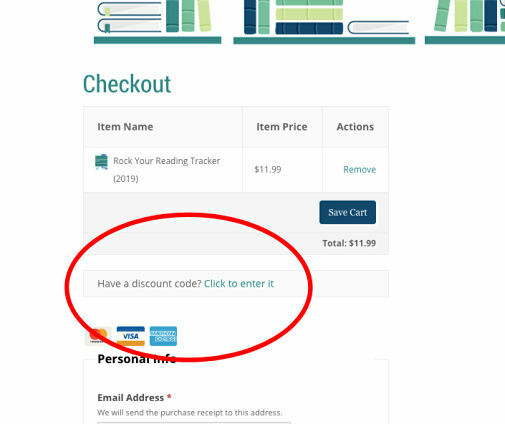 Returning Customers – If you bought last year’s tracker, I’m offering a 20% discount on your purchase of the new and improved 2019 version. Check your email for the discount code! And, this offer can be coupled with the Early Bird offer (so returning customers that purchase in the next 2 weeks will get the 20% discount on the $11.99 Early Bird price). I’m available at sarahsbookshelves@gmail.com to answer any questions before and after your purchase and provide support using the tracker. Whether you want to keep it simple and just count how many books you’ve read or you want to go all in and geek out on numbers and charts, the Rock Your Reading Tracker is the only tool you need. Because of it, I not only have a manageable TBR list, I also know the authors, bloggers, and publishers who work best for me and those who don’t- which gives me more time to read. It is my favorite rabbit hole to fall into when thinking about books! Sarah’s Rock your Reading Tracker has made organizing the books I’ve read AND those I still want to read a breeze. Data isn’t my thing, but her tracker does all the work for me. I love turning to the summary charts and getting that quick visual of my reading trends and stats. I guarantee, you’re going to love it, too. Now, if Sarah would only create a tracker for my job! I like having all the statistics right there! There are some (like debuts) I never thought to track on my own and enjoy having access to. Tracking things like format read in and books read per month has also been super interesting to see visually. I really LOVE this and found it very insightful in regards to my reading habits. I became much more aware of the reading choices I was making and it made for a more enjoyable selection of books! I’ve heard from some people who did not receive their email receipt with the link to download the tracker. If you don’t receive this email after your purchase, please email me at sarahsbookshelves@gmail.com and I will send you the tracker. I’m sorry for the inconvenience and am working on a fix! Does this have to be used in a computer? I am looking for something I could use in a kindle fire. Hi Kim – I’m pretty sure it does. I don’t have a Kindle Fire myself, but I imagine this would not work on that unless the Kindle Fire somehow has either Microsoft Excel or Apple Numbers apps. I need a spreadsheet that tracks gender diversely as well. Is it possible/difficult to add fields? (I only see two genders in the image above, and I read a lot by nonbinary authors.) What a great resource this is, though! Oh that’s so good to know, thanks. I’m going to keep it in mind, for sure!